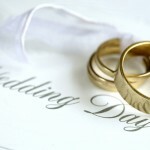 Looking forward to a very special weekend of celebrations for Sam and Helen at Rise Hall. Bagden Hall - a crisp and sunny day. Perfect for photographs. Roaring fire in the entrance hallway - a lovely venue for Benn and Leigh's wedding. The ceremony had laughter - which continued for the rest of the day, and a few tears. A privilege to be a part of this special day.